Harken to days past and grab this pin featuring the classic design of Robin, the sidekick of Batman. 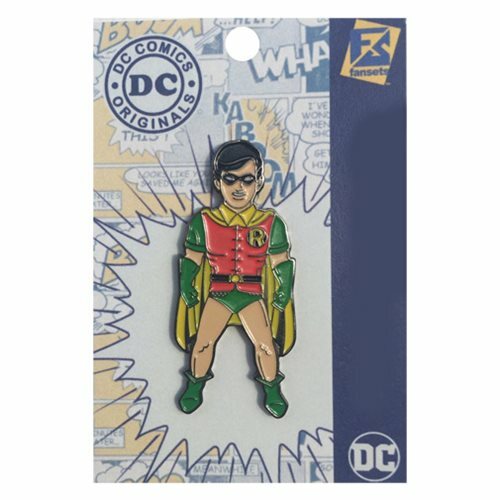 This pin, made by Fansets, displays Robin as seen in the original Batman comics. This DC Comics Robin Classic Pin measures approximately 1 7/8-inches tall.